Unreal views of the Bradshaw Mountain, Daisy Mountain, and Gavilan Peak. 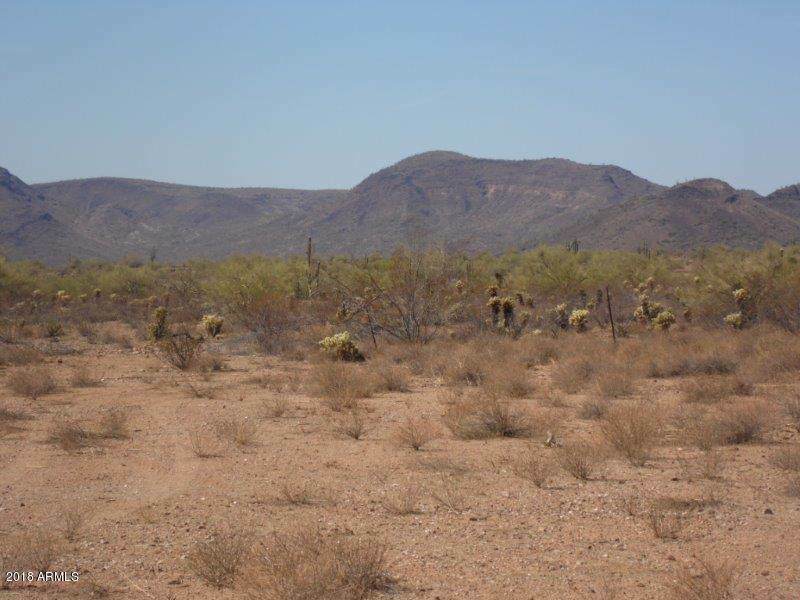 The best feature is the unobstructed views to the West which is State Property. 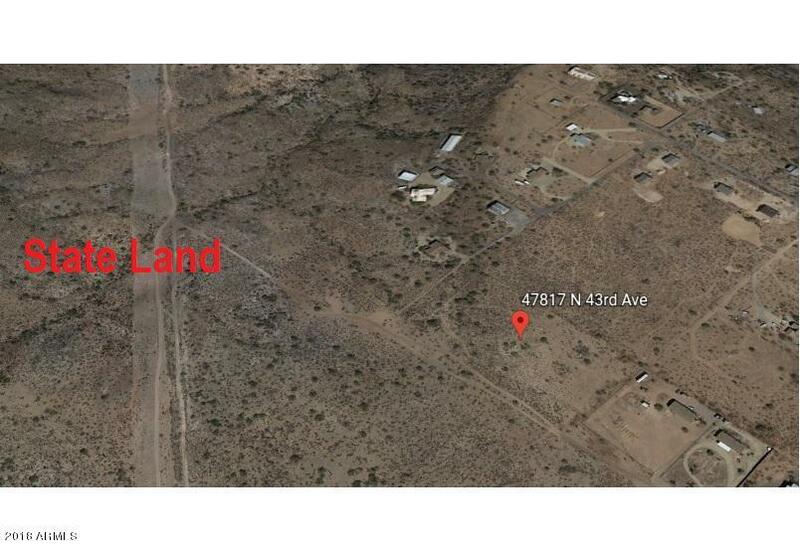 This 5 acre level topography lot is perfect for your dream home or a builder. 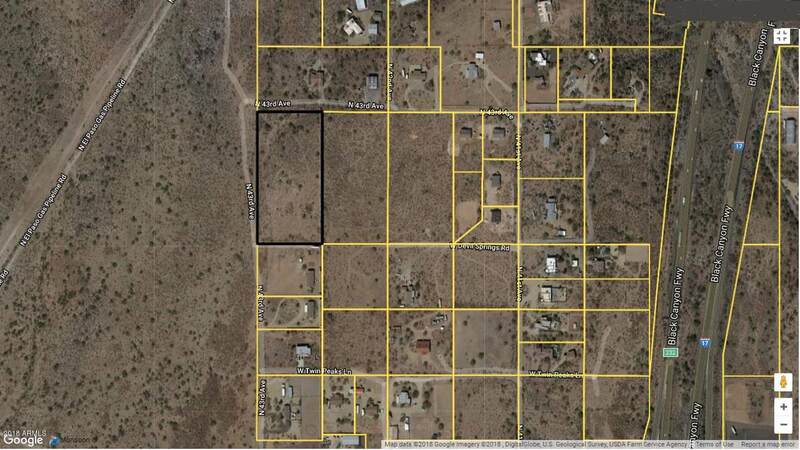 The property can be split into individual lots. 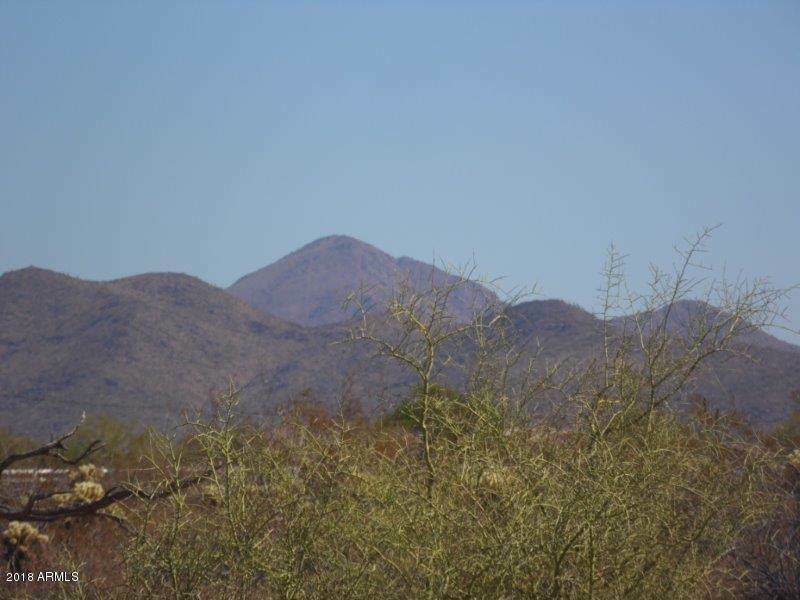 The location is perfect; within a couple of minutes to I-17 and a short distance to Lake Pleasant. APS located on property. By far the best 5 acre lot in New River. You will not be disappointed with this property. Cross Street I-17 And New River Rd. Listing courtesy of Daisy Dream Homes Real Estate, Llc. © 2019 Arizona Regional Multiple Listing Service, Inc. All rights reserved. All information should be verified by the recipient and none is guaranteed as accurate by ARMLS. The ARMLS logo indicates a property listed by a real estate brokerage other than The W Group | Russ Lyon Sotheby's International Realty. Data last updated 2019-04-23T13:11:13.307.